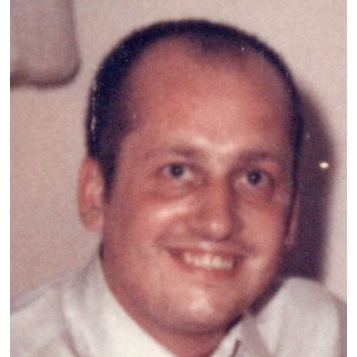 Leo J. Sirois, 78, of Bristol, husband of Doriann (Richards) Sirois, died on Tuesday October 16, 2018 at Bristol Hospital. Leo was born in Huntington, NY on October 6, 1940 and was a son of the late Leo H. and Margaret (Camden) Sirois. He resided in Bristol before moving to Bloomfield in the late 1960’s where he worked at COPACO and Grote and Weigel before returning to Bristol in the early 1980’s. He was a resident at Sheriden Woods Health Care Center for the past 11 years. Leo was a member St. Francis de Sales Parish at St. Ann Church, Bristol, and attended St. Ann Grammar School. In addition to his wife, Leo is survived by a former wife, Joanne Wist; a daughter, Marie; his grandchildren, Crystal, Joey, and Jessica; three stepsons, Randy, Kevin, and Richard Faircloth; a brother, Raymond Sirois; a sister, Mary Ann Sirois. Relatives and friends may call at Funk Funeral Home, 35 Bellevue Ave., Bristol on Monday, November 5, 2018 between 4 and 5 P.M. Funeral services and burial will be private and at the convenience of the family. Please visit Leo’s memorial web-site at www.FunkFuneralHome.com.